Praised for her “extreme versatility” and “simply unbeatable beauty of tone” (Berliner Zeitung), Min-Jeong Koh maintains a busy schedule as concert violinist, violist, and educator. As first violinist of the Cecilia String Quartet, Ms. Koh won First Prize at the Banff International String Quartet Competition, 2nd Prize at the Osaka International Music Competition, and the Prix de la Sacem at the Bordeaux String Quartet Competition. Their latest recording was chosen as Gramophone Magazine’s “Editor’s Choice” and was nominated for a JUNO Award for Best Classical Album. With the ensemble, Ms. Koh has performed across Europe, Asia, and North America at such celebrated stages as London’s Wigmore Hall, Amsterdam’s Concertgebouw, Berlin Konzerthaus, Beethoven-haus, Prague’s Rudolfinum, Library of Congress, La Jolla Music Society, Stanford Live, Music Toronto, and the Ottawa International Chamber Music Festival, among others. 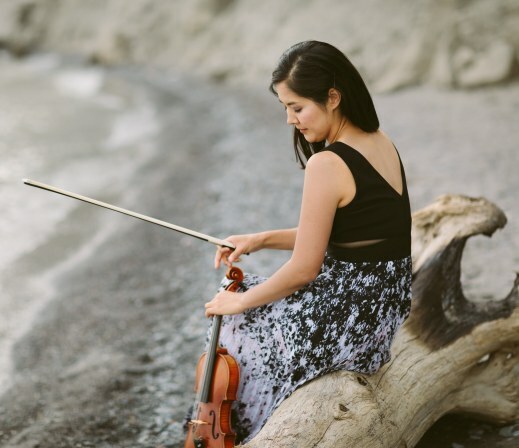 Ms. Koh’s performances and recordings can be heard on BBC Radio 3, Bayerischer Rundfunk, DeutschlandRadio, New York City’s WQXR, Public Radio International throughout the United States, and the Canadian Broadcasting Company. She has performed with Leon Fleisher, Menahem Pressler, Angela Cheng, Michael Tree, and Danilo Perez.A passionate educator, she is currently Associate Professor of Violin at University of Oklahoma’s School of Music. 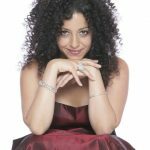 Previously, she has served as Adjunct Professor at the University of Toronto, along with teaching posts at McGill University, Royal Conservatory of Music, San Diego State University, and Wilfrid Laurier University. A sought-after teacher, she has been invited as faculty to the Indiana University Summer String Academy, Innsbrook Institute in Missouri, Madeline Island Chamber Music, and Austin Chamber Music Center. She has given masterclasses at London’s Guildhall School of Music and Drama, University of Colorado at Boulder, Iowa State University, Southern Oregon University, American University of Sharjah in the United Arab Emirates, Algoma Conservatory, Brandon University, Memorial University, Victoria Conservatory, and at the Beijing, Guangzhou, and Shanghai Conservatories.